King Jammy hasn’t really flooded the market with new productions in the past 15 years or so. It’s only until quite recently he has put out something of a steady stream of productions. Not that odd maybe since he turns 70 in October. Two years ago he dropped a combination dub album with Alborosie, but previous to that effort he hasn’t released much under his own name. It was probably the Dry & Heavy combination In the Jaws of the Tiger from 2000. Anyhow, he has picked up speed in the past year. Last year he released New Sounds of Freedom, a set where he reworked Black Uhuru’s Black Sounds of Freedom with a new generation of artists. And just a few weeks ago King Jammy put out Waterhouse Dub via Greensleeves. On Waterhouse Dub this veteran dub champion tackles – together with his sons Jam Two, John John and Baby G – classics from his vaults of productions from the late 70s and early 80s. It’s a strong selection of rhythms delivered with boosted bass lines, vocal interjections and introductions, sonic effects and a heavy dose of delay and reverb. From Waterhouse to the world – long live the King! Jamaican ensemble and production crew Suns of Dub – led by the late Augustus Pablo’s son Addis Pablo – has created a mixtape for VP/Greensleeves by using the label’s extensive catalogue. Riddimentary is a musical journey and a time travel back to the 70s and early 80s. Addis Pablo and Suns of Dub have selected crucial cuts that have inspired their musical output and in the continuous mix – without any sound effects or mixing wizardry – you’ll find classics from reggae legends like Sugar Minott, Dillinger, Jacob Miller and, of course Augustus Pablo, who kicks off the set in fine style with his Far East sound. This set is an excellent introduction to conscious reggae and rootsy dancehall and be sure to check slightly lesser known cuts like John Wayne’s Call the Police or Tenor Saw’s Golden Hen. Augustus Pablo’s King David’s Melody is a collection of self-produced singles issued between circa 1975 and 1982 and it was originally released in 1983 and has since been reissued several times, often with bonus material. The latest reissue comes from Greensleeves – a label that has released it two times before – and it collects the original album along with nine extra dubs sourced from the original singles. This album showcases Augustus Pablo in all his glory. The original album contains mostly melodica-led instrumentals and the sonic landscape is airy and relaxed with uplifting melodies, while the dubs provides a more militant and trippy side of this musical mastermind. Reggae powerhouse VP Records’ subsidiary Greensleeves has started the year with a number of solid reissues. First off was three rare Glen Brown compilations from the late 80s and now the label has put out Horace Andy’s hard to find In the Light and In the Light Dub along with Augustus Pablo’s classic Original Rockers. I have noted some critique on these releases. Some say it’s easy money dropping reissues and that’s why VP is doing it. It’s probably cheaper to release an already recorded album, but for me that’s not the case. I think VP is doing the right thing reissuing solid and hard to find – sometimes downright impossible – albums and singles. These reissues – at least the CD and digital versions – also come with added tracks. Sure, they have reissued before, but there are new generations out there, generations that haven’t heard these great sets. Augustus Pablo’s Original Rockers album was originally released in 1979. It’s a collection of severely rare singles from his early days, circa 1972-1975, and showcases three creative masterminds – Augustus Pablo himself along with legendary mixing engineers King Tubby and Prince Jammy, the former gracing a few cuts with his dub wizardry. Original Rockers is extraordinarily innovative and is a mostly instrumental set. This expanded version comes however with vocal cuts from Dillinger, Big Youth, Leroy Sibbles, The Heptones and Bongo Pat. Augustus Pablo’s dreamy melodica floats around in the mixes and standout cuts include Up Wareika Hill, the militant Jah Dread, the mellow Thunder Clap and Park Lane Special, a superb version of Hugh Mundell’s classic Africa Must Be Free By 1983. Original Rockers is the essence of Augustus Pablo and the album now gets a well-deserved reissue. Reggae powerhouse VP Records’ subsidiary Greensleeves has reissued three superb compilations of cuts produced by Glen Brown, a singer, instrumentalist and producer that made some of the most uncompromising reggae music ever to be put on wax. Glen Brown started as a harmony vocalist singing with Lloyd Robinson, Hopeton Lewis and Dave Barker, later of Dave and Ansell Collins fame, and recorded with several top producers in the late 60s, including Coxsone Dodd and Harry J. In the early 70s he tried his hand at producing and he was – just like his peer Keith Hudson – an innovative and idiosyncratic producer. He was a rebel, not afraid of cutting downright uncommercial music with false starts, vocal interjections and eerie sonic landscapes with earth-shattering bass lines and minor key melodies. His productions were pressed in tiny quantities on a broad variety of labels and hard to come by back in the days. And these three reissues – originally put out in 1989 – were highly sought after since they collected rare recordings on Glen Brown’s Pantomine label by some of the finest Jamaican singers, deejays and instrumentalists, including performances by U Roy, I Roy, Prince Jazzbo, Big Youth and Tommy McCook. Featured are also Prince Hammer’s Daughter a Whole Lot of Sugar Down Deh, his first recording, and one of Gregory Isaacs’ earliest tracks – One One Coco. But Glen Brown wasn’t only a truly original producer, he was also ahead of his time when he recycled his riddims for various performers. These three compilations – Boat to Progress (vocal cuts), Check the Winner (instrumentals) and Dubble Attack (deejay outings) – contain largely interpretations of the same deadly riddims. All in all 46 killer tracks showcasing the essence of dread. For a dubwise shower of Glen Brown’s music seek out Blood & Fire’s Termination Dub. Jacob Miller. Augusts Pablo. King Tubby. Three highly revered names in reggae. And these three legends make up the astonishing Who Say Jah No Dread – The Classic Augustus Pablo Sessions, a collection that has recently been reissued by Greensleeves. The original version of this crucial album was posthumously released in 1992, collected 12 tracks and was only about 30 minutes long. It had six vocal cuts and six super-heavy melodica-led dubstrumentals from the great Augustus Pablo. The new remastered deluxe edition expands the original album with ten tracks adding dubplates, versions and next cuts. Who Say Jah no Dread is dark, deep and oozes with spirituality and creativity. It was recorded in 1974 and 1975 and offers something very different to the disco/reggae/pop that Jacob Miller later recorded with Inner Circle. Jacob Miller’s distinctive, soaring and heartfelt voice cries over the monumental bass lines and militant drums provided by some of Jamaica’s most skilled session musicians. For this edition Greensleeves have added two different sleeve notes – newly written ones by Harry Wise and the original by Ian McCann. Together they make up a highly informative 12 page booklet. This album is not for the faint-hearted and essential doesn’t half describe this set of classic cuts and rare gems. And alongside the CD version comes a 7”x7” box collecting the complete set of singles that Jacob Miller recorded for Augustus Pablo. 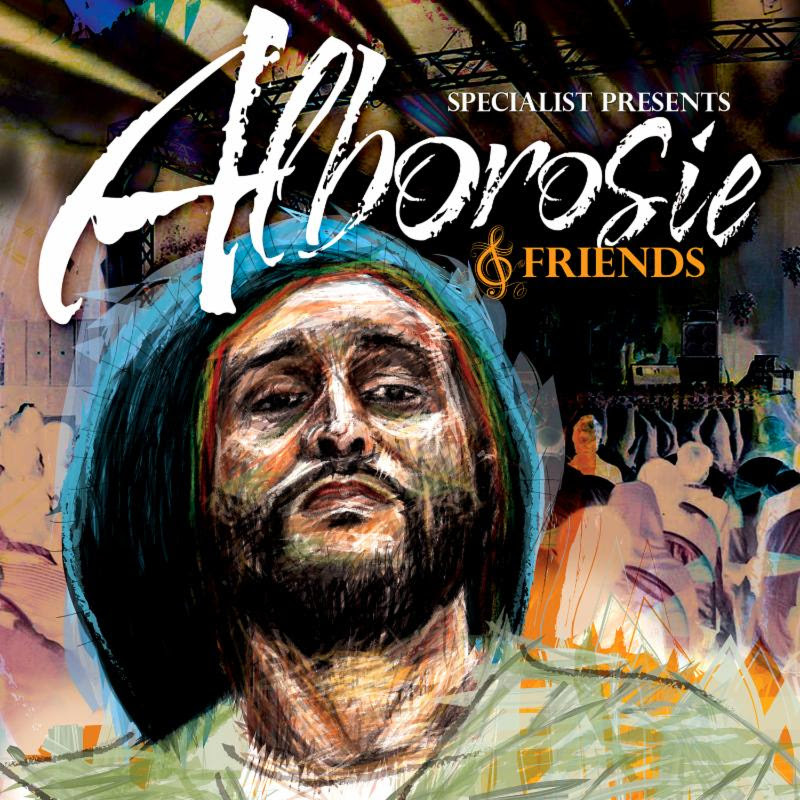 Greensleeves has decided to reissue a compilation of Alborosie combinations titled Specialist Presents Alborosie & Friends. It was originally released in 2010 on Alborosie’s own label. This singer, song writer, dub engineer, producer and multi-instrumentalist has recorded a truck-load of duets, and 27 of them are collected on this album. It includes essential combinations with artists in the dancehall and roots reggae vein, including Sizzla, Jah Sun, Michael Rose, Busy Signal and Etana, only to name a few. The late dancehall singer Barry Brown had a short but prolific career, and was at his best in the latter half of the 70’s and the first part of the 80’s with tracks such as No Wicked Shall Enter, Lead Us Jah Jah and Far East, probably his most well-known tune. Greensleeves has recently reissued one of his more unknown albums – Right Now. It was produced by Jah Screw, backed by Roots Radics and We the People Band and originally released in 1984. The backing and the riddims are sparse and crisp yet vividly powerful with the bass and the drums being in the front on each cut. Barry Brown’s youthful and heartfelt voice flows nicely over several well-seasoned riddims, including Shank I Sheck, Cuss Cuss and Drum Song. 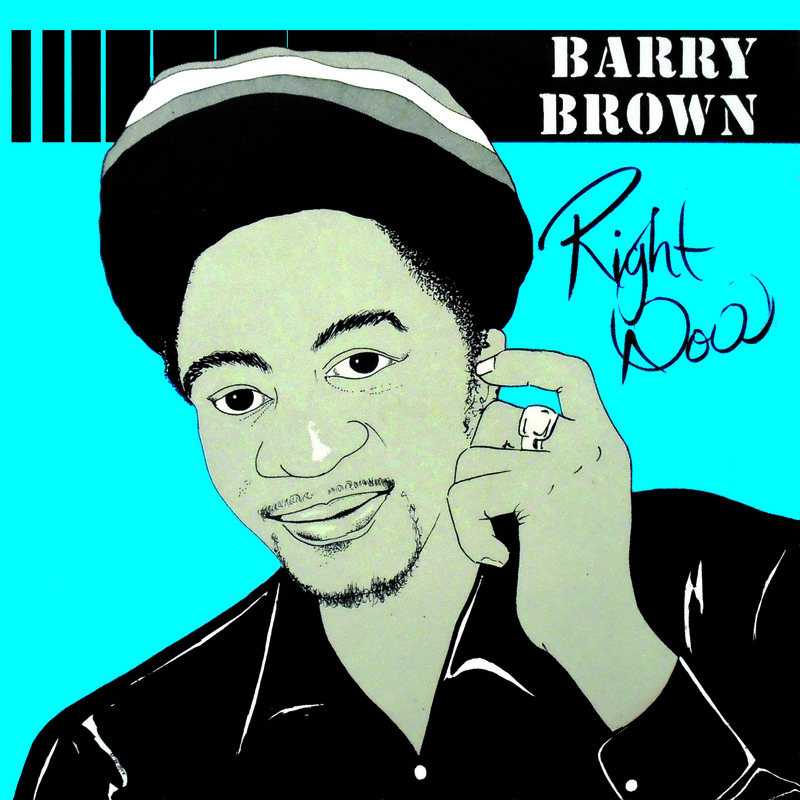 Right Now is available on CD and on digital platforms and includes a string of bonus material – Tristan Palma’s Nuh Shot Nuh Fire, as twinned with Barry Brown’s Jukes And Watch on the original Greensleeves 12”, dub versions of each Barry Brown vocal and Mafia, a wicked take on the Rockfort Rock riddim and described as a sound system favorite in the press material. The 20 tracks are ruthless early Jamaican dancehall and the bonus dub cuts really show the strength of each riddim. 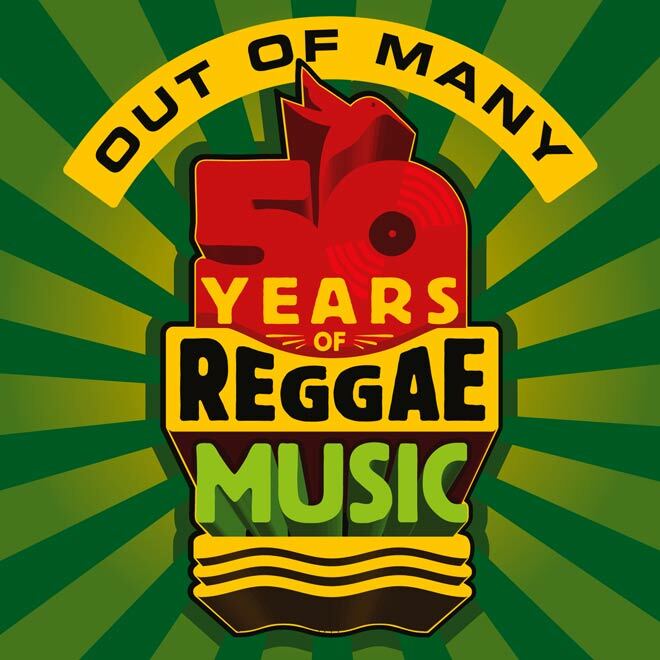 VP Records’ Out of Many – 50 Years of Reggae Music is the fourth various artists compilation album to celebrate 50 years of Jamaican independence that I’ve come across in the past weeks. This three disc compilation is chronologically compiled with one track per year over 50 years taken from VP’s and Greensleeves’ huge reggae vaults. Included are gems such as Lord Creator’s mento/calypso Independent Jamaica, Nicky Thomas’ Jamaican mixed version of Love of the Common People, Barrington Levy’s mighty Here I Come and the smash hits Get Busy and Hold You from Sean Paul and Gyptian respectively. Included are also the odd – in this context anyway – Smoking My Ganja by Capital Letters, Hello Darling from Tippa Irie and Ninjaman & Ninja Ford’s The Return of Father & Son. Not bad tunes per se, but they don’t fit the compilation. This is actually also the case with the Horsepower Production’s dubstep remix of Yellowman’s Zungguzungguguzungguzeng. There is unfortunately no dub or nynabinghi included, but the gender distribution is way better than Island Records’ Jamaica 50 compilation Sound System: The Story of Jamaican Music reviewed about a month ago. In VP’s history lesson they’ve included eight female singers, among them Lady Saw, Etana and Marcia Aitken. The brief liner notes are written by reggae historian Noel Hawkes and puts reggae – and its many sub genres – as well as the history of VP Records in context. Almost 30 years after his untimely death only 38 years old, the one and only Keith Hudson is perhaps hotter than ever before. Greensleeves has recently reissued a deluxe two CD version of his Rasta Communication album and Sunspot has reissued his first album Furnace. On top of this Vincent Ellis and Jean Scrivener have published an illustrated Keith Hudson discography in the form of pdf files on a DVD-ROM. It contains a comprehensive listing of albums, singles, compilations, riddims and productions of other artists as well as cover art and additional information. Keith Hudson is a key artist in the development of reggae and a producer, songwriter and arranger with a uniquely deep and atmospheric style. His first hit song was Ken Boothe’s excellent Old Fashion Way released in 1968, and Keith Hudson was also the producer who provided Big Youth with his breakthrough hit – the Honda motorbike tribute S. 90 Skank. 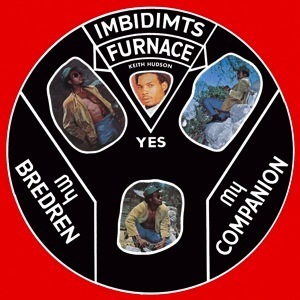 Furnace was originally issued in 1972 on Hudson’s own Inbidimts label and includes twelve tracks with riddims supplied by relentless Soul Syndicate band and vocals courtesy of Dennis Alcapone, U Roy Junior and Keith Hudson himself, who has an unorthodox and non melodic singing style, not to everybody’s taste. The exquisite sleeve notes to Furnace, provided by the aforementioned Vincent Ellis, give a detailed overview of the album and a comment to each of the twelve tunes. Five years after the release of Furnace Keith Hudson dropped the dub album Brand, also known as The Joint. It was oddly enough released a year before its vocal counterpart Rasta Communication. Both of these albums are now put out in a deluxe two CD package complete with several hard to find bonus cuts and extended versions, including the previously unreleased dub version to I Broke the Comb. The riddims on Rasta Communication are sparse and strained, and uses only guitar, bass, drums and keys. 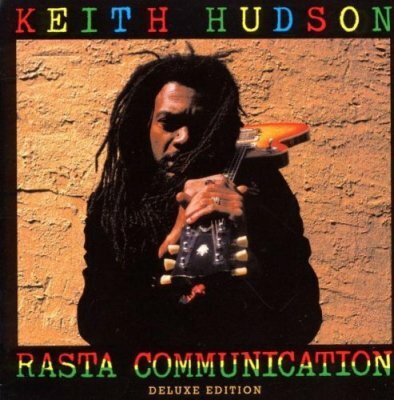 The vocals are solely handled by Keith Hudson, and the mixes on Rasta Communication in Dub are edgy and grim. Keith Hudson’s music may not be for everyone, but these albums show an artist and a producer with an individual style and many years ahead of his time.